Special Olympics New Jersey (SONJ) held its annual summer games last month. June 9th, the night of the opening ceremonies, showed the Garden State summer at its finest; as the sun went down, temperatures hovered at a dry 70 degrees. Nearly 2,500 athletes of all ages had come to that weekend’s games, held on the campus of The College of New Jersey, to participate in seven sports: aquatics, track and field, bocce, powerlifting, softball, tennis, and gymnastics. 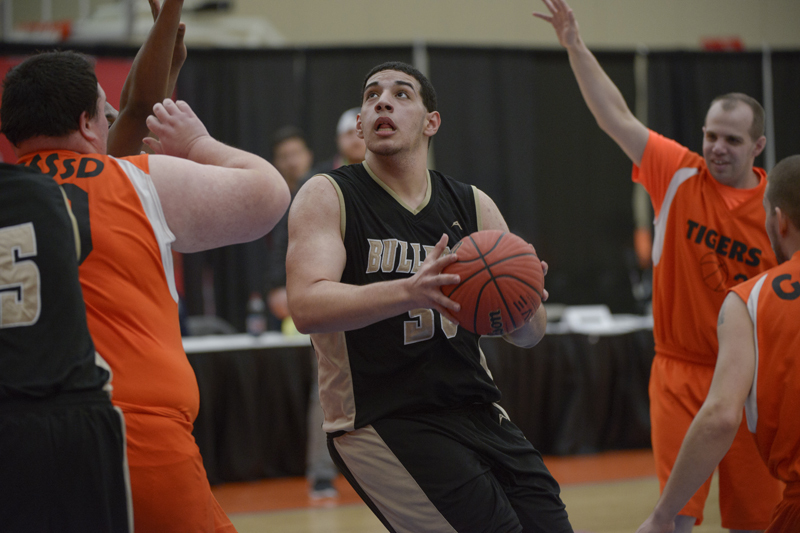 For some, the New Jersey games would serve as a qualifying event for the Special Olympics USA Games — which will be held in Seattle next summer — but for all, the weekend was an opportunity to push themselves and build friendships. The sense of joy was palpable as the athletes filed onto the field at Lions Stadium that night. The younger athletes, in particular, were exultant — waving wildly to family and friends in the stands and collecting hugs and high-fives from the police officers arrayed in two lines to form an aisle onto the field. Liz Valois of Bordentown was among the spectators that weekend. Her two sons Tom and Cristian, were there to compete in track and field. Ms. Valois said part of what she values about the organization is how it teaches them good sportsmanship whether they win or lose. Apparently the possibility of losing was no great deterrent, as Tom was missing his eighth grade dance to participate in the games. Ms. Valois was quick to add that it’s not just a one-day commitment, either. Her sons train with their team well in advance of the summer games. 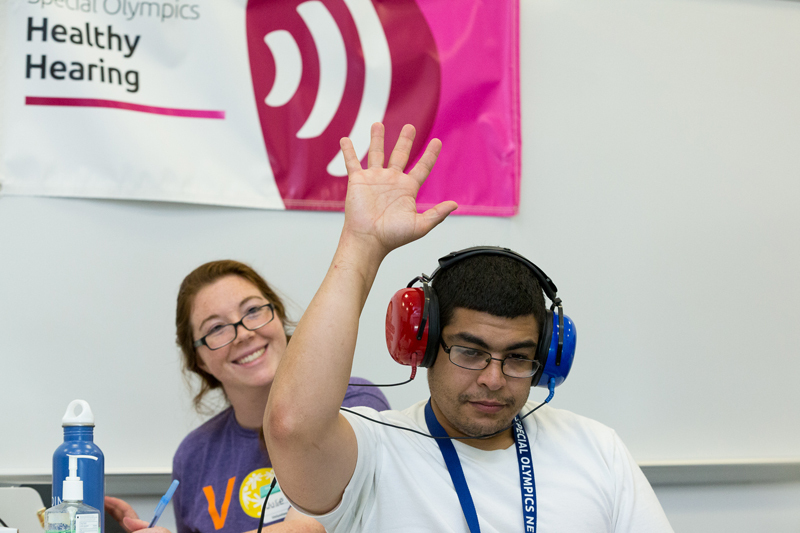 This notion that there is much more to the Special Olympics than the summer games is a sentiment echoed by Jeremy Davis, director of digital marketing and communications for SONJ. First and foremost, they put on games every season of the year, with events ranging from fall soccer, to winter snowshoeing, to spring basketball. But SONJ also puts on a wide variety of programs apart from these quarterly mainstays. The Young Athletes program, established in 2004, is meant to get children ages 2-7 involved in sports in the hopes of teaching them basic skills and establishing lifelong healthy habits of exercise. 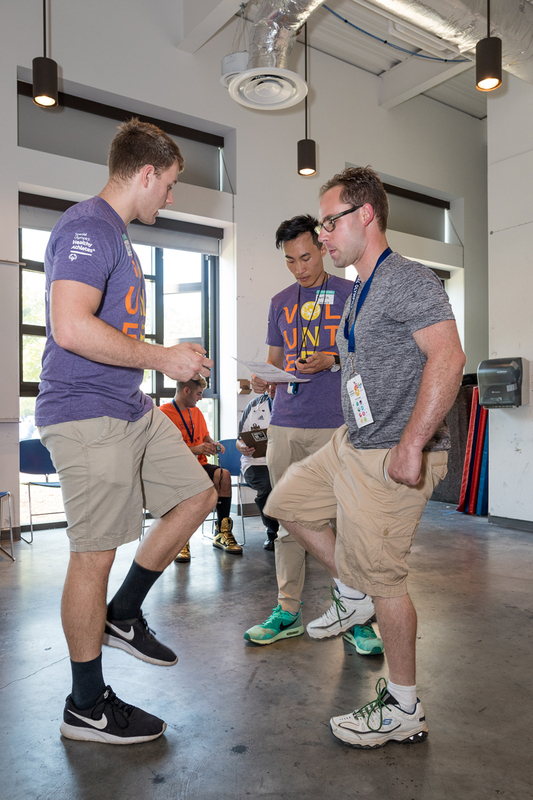 SONJ has also undertaken a Healthy Athletes initiative, providing a wide range of health screenings and care — everything from shoe fittings to eye exams — at the state games and other events throughout the year. 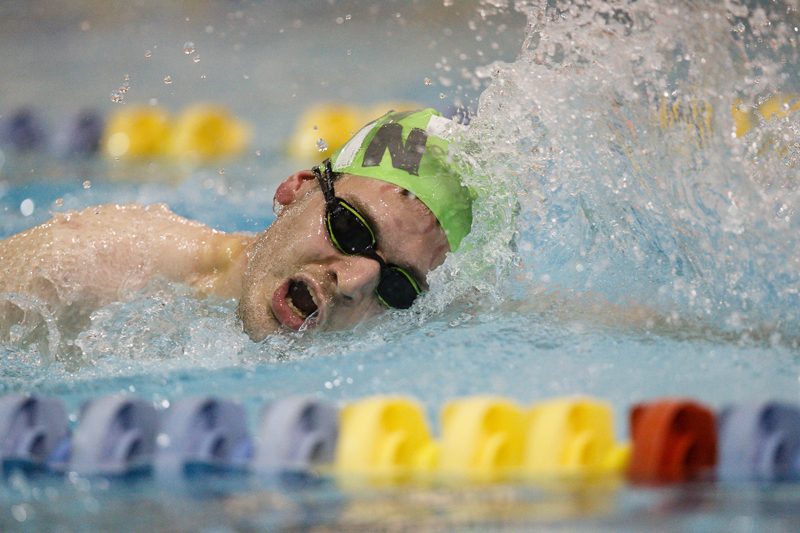 Healthcare is often a realm of significant anxiety for those with intellectual disabilities, and Healthy Athletes is meant to provide them with friendly resources free of charge. In another initiative it shares with its national umbrella organization, SONJ also promotes the integration of athletes with and without intellectual disabilities on the school teams. This Play Unified program fosters understanding and friendship, helping all involved build empathy through sports. 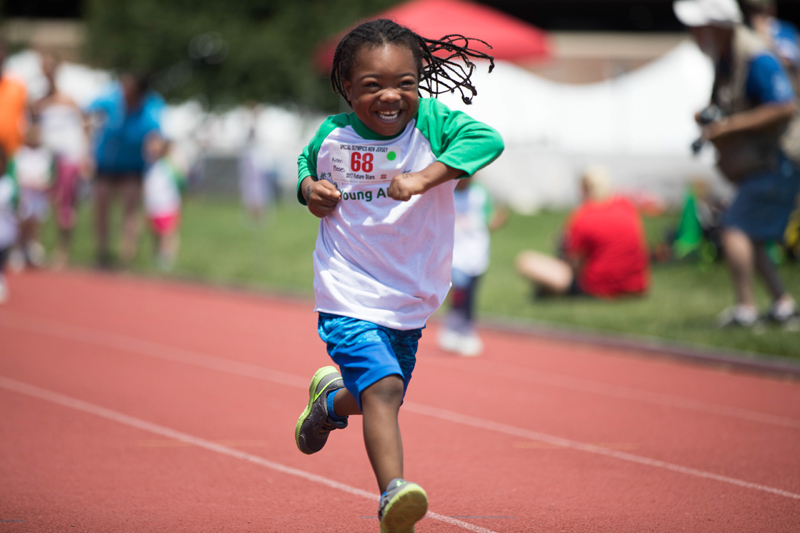 Next year marks the 50th anniversary of the Special Olympics, which was established as an expansion of a day camp for children with intellectual disabilities that Eunice Kennedy Shriver held at her home in Potomac, Maryland. 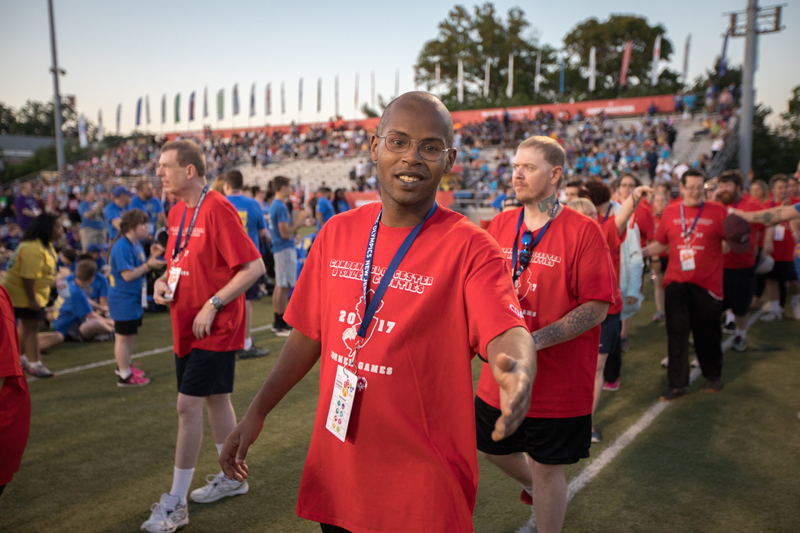 In the subsequent half-century, the Special Olympics has grown to become one of the preeminent organizations working on behalf of individuals with intellectual disabilities. Now, 4.7 million athletes from 169 countries participate in its programs. For its part, the New Jersey chapter looks to expand its reach as the big anniversary nears. Mr. Davis says they hope to increase the number of registered athletes from 25,000 annually to 40,000 in the coming years. For more information on SONJ and its year-round programming, visit the organization’s website at www.sonj.org.